If you're someone who loves to play golf then our Embroidered Golf Hat is perfect for you. With your Custom Embroidered Golf Hat you will golf with style and feel like a pro on your favorite course. 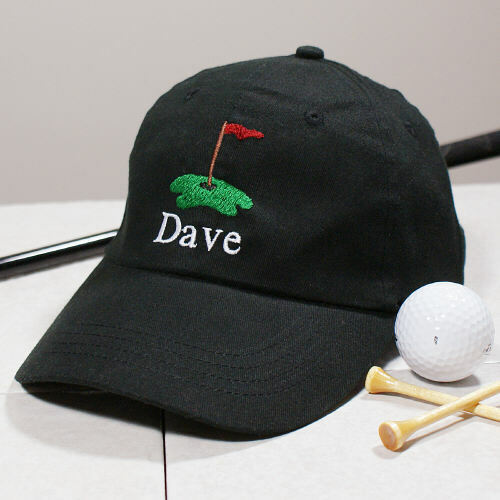 Our Personalized Hat also makes a great Father's Day Gift that is perfect for Dad or Grandpa. The only concern I had about this hat prior to ordering was what kind of adjustable clasp was in the back, as it did not mention this on the website. It is velcro.